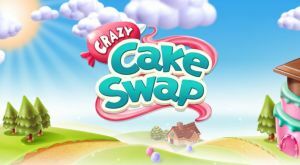 The object of this Match-3 game is to serve cakes to become the best baker in the land. There are over 150 cascading puzzle levels for you to solve within a limited number of moves. The gimmick that sets this game apart from others in the genre is that you are able to include you and your friends' faces within the game. If this is not your thing you can always use a cartoon avatar instead. i have found a website Mobilga,C0M , which provides game stuff for sale with highest discount. maybe you need this someday. No discussions open for Crazy Cake Swap at the moment.